An orchestra is a large instrumental ensemble typical of classical music, and a full-size orchestra may sometimes be called a symphony orchestra or philharmonic orchestra. 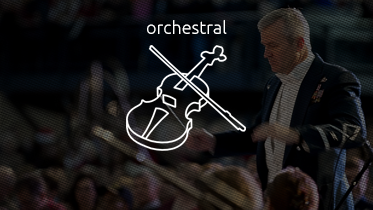 Typically a classical orchestra features string instruments such as violin, viola, cello and double bass, as well as brass, woodwinds, and percussion instruments, grouped in sections. Other instruments such as the piano and celesta may sometimes appear in a fifth keyboard section or may stand alone, as may the concert harp and, for performances of some modern compositions, electronic instruments.